Some people go on holiday and come back with straw donkeys, kiss me quick hats and T-shirts. I come back with Gin. 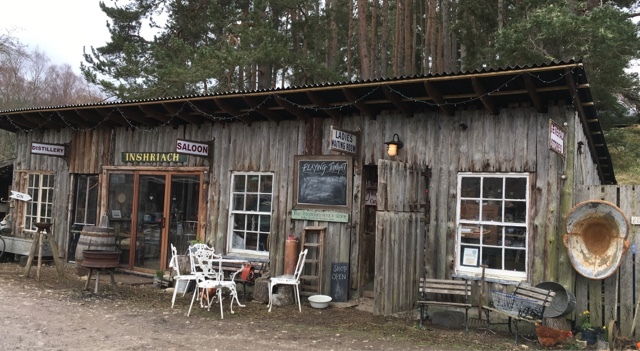 The resurgence of mother's ruin means that artisan small batch distilleries are springing up all around the UK so as a self confessed admirer of the juniper spirit it would be rude for me not to check out what the local tipple is in the area that I'm visiting. Hence when I was in Dorset & Devon last year at River Cottage a bottle of Conker Gin came back in my suitcase. What better excuse to visit my parents in The Black Isle than a bottle of Glen Wyvis. 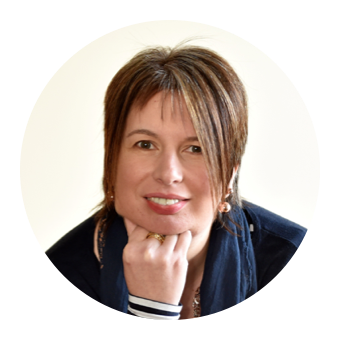 You'd like me to speak at your conference in Thurso? Can you just confirm that there will be Rock Rose Gin in the goody bag. 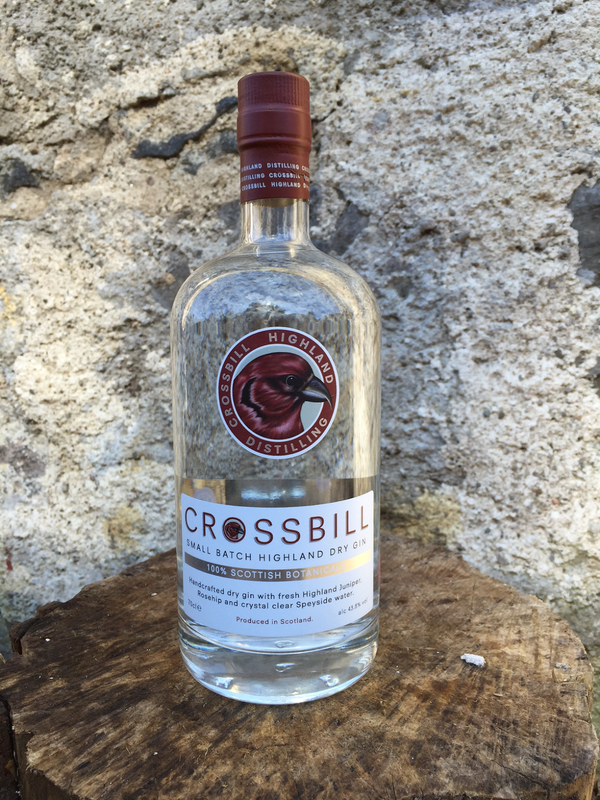 We spent last week in Aviemore and I was aware that Crossbill Gin was made somewhere in the vicinity of the Cairngorms but wasn't sure exactly where. Time to track it down! I'm a sucker for any of those Channel 4 shows about property. Grand Designs, Amazing Spaces, Restoration Man and the likes. 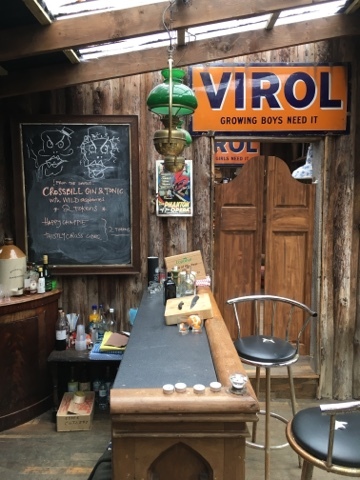 Last year the Amazing Spaces Shed of The Year was none other than the home of Crossbill Gin, Inshriach Distillery. I'd also been intrigued to spot them on social media appealing to the people of Scotland to go forth and forage for Juniper on their behalf in return for cash or discounted gin. 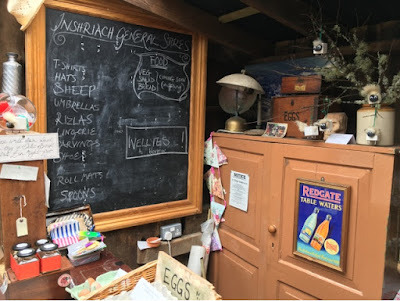 From my holiday lodge in Aviemore I tweeted one of the founders Jonathan Engels to see if I might be able to organise a visit. 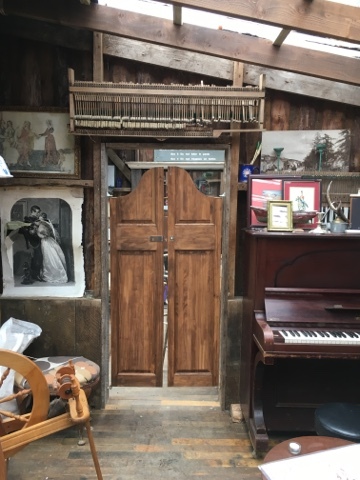 At this stage in proceedings I must point out the the distillery/shed is not open to the general public so please don't attempt to turn up on their doorstep as it is part of a private estate. 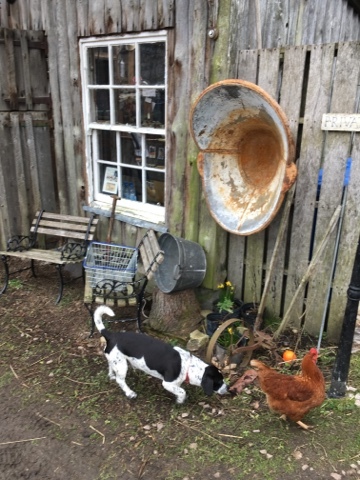 We agreed a suitable day and time for a quick tour and I was given directions to locate said shed and meet the other half of the partnership Walter Micklethwait along with his chickens and adorable dog Monty. 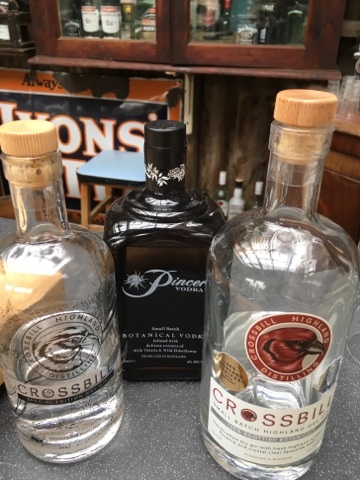 With so many new gins on the market you need to have a USP and for Crossbill it's the fact that it is produced uniquely with 100% Scottish juniper. The gin takes its name from the Scottish Crossbill a native bird which can only be found in the ancient Caledonian pine forests. 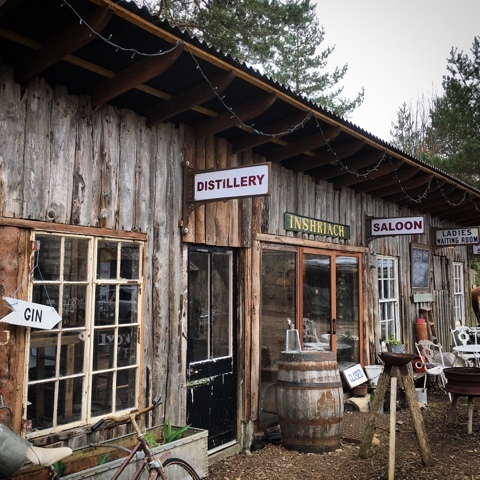 The distillery sits in the middle of such a forest in the Cairngorms National Park, one of the few areas of the UK to have abundant native juniper. It is picked by hand in the local vicinity and enough needs to be collected in the autumn harvest to ensure a continuity of supply the whole year round. Instead of the traditional method of drying, the juniper berries that are not used fresh are frozen for later use. In this cass small batch really does mean small batch. 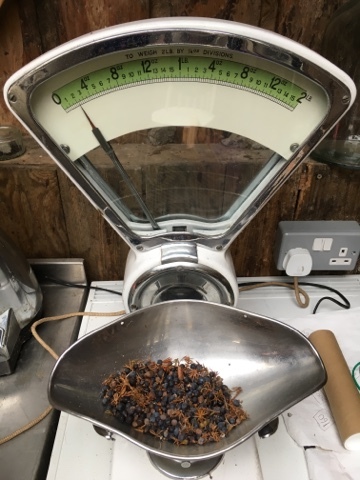 Only 75 litres of spirit goes into the copper still after a fortnight of steeping with juniper, rosehips and other native botanicals. The resulting gin is 80% proof but is taken down to 43.8% with the addition of Speyside water. Prior to its reincarnation as Shed Of The Year Inshriach Distillery was a chicken shed. Its conversion and refurbishment took place primarily with recycled and repurposed materials with the only major expense being £650 on a new roof. 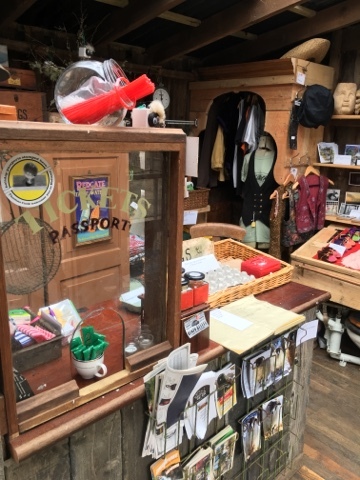 With the look of a somewhat surreal cowboy saloon it contains an eclectic mix of scavenged and salvaged items and quirky collectibles. 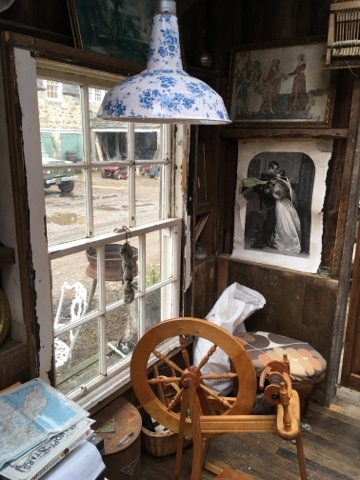 There are four rooms in the shed. The distillery, bar, lounge and shop. Quick pictorial tour below. 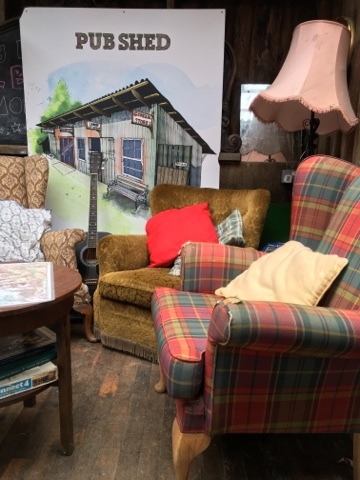 If you'd like to see more you can still watch the Shed of the Year programmes on 4OD. Series 2 episode 3 features Inshriach aprox 3 mins in. There's nothing quite like tasting a Gin in the place where it's made. We tried the Crossbill 200 Special Edition at a whopping 59.8 %. Only a very limited number of these bottles were produced retailing at £85 and selling out in a flash. Upon discovering a particularly prolific Juniper bush that was over 200 years old Crossbill 200 was produced from this single source. Each bottle featured a map detailing the exact location of the ancient bush and its OS coordinates. But how does it taste? For both the regular Crossbill and the Crossbill 200 the flavour is really strong on the juniper. Whilst we sipped the 200 neat the perfect serve is with tonic, ice and a twist of orange peel. 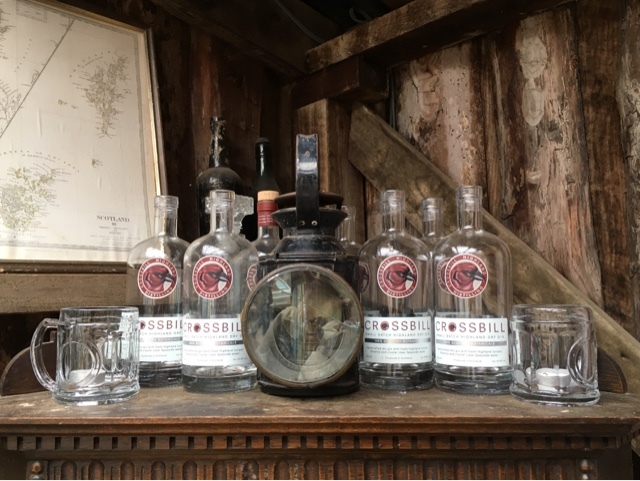 Crossbill has definitely secured a place on my Gin Shelf while the characterful Inshriach Distillery has secured a place in my heart. Thanks to Walter and Jonathan for facilitating my visit. All views expressed are my own. 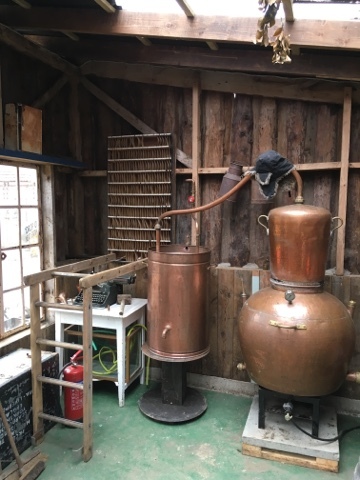 For further Distillery Ginspiration check out my blog posts about my visits to Caorunn and Eden Mill and my fellow gin loving food blogging colleague Alex's visits to Warner Edwards and Burleigh's. 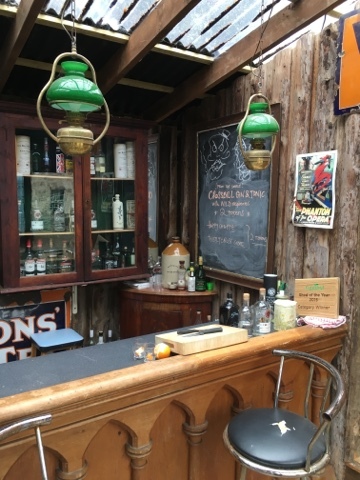 I loved the shed of the year show and this looks so unique - how much fun to visit especially for a gin lover like you! I must admit I didn't use to like Gin but its been growing on me this last year or so and I do enjoy a gin cocktail..or two. 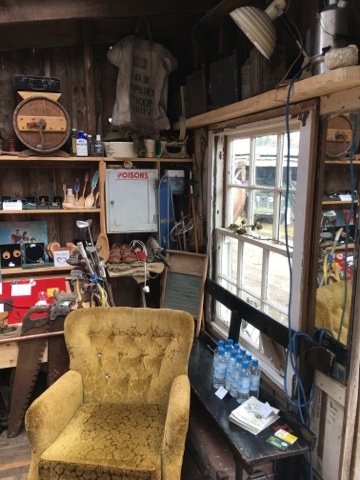 I can't believe that there is a "Shed of the year" lol. And coming back from ANYWHERE with gin is no bad thing!